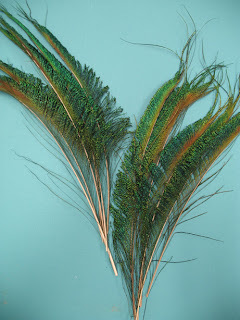 Nicole: Peacock Feather False Eyelashes DIY ?? 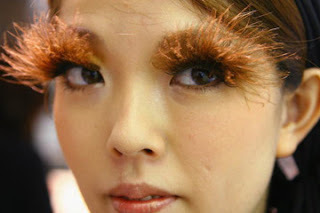 So, I have this grand idea to make my own Peacock feather eyelashes. I'll probably wear them on Monday for Trinidad carnival 2k11. I'll have to wait and see how it looks with my headpiece and collar. I'm thinking it might be over kill on Tuesday with all those pieces so Monday may be best since I won't be wearing my headpiece or collar. 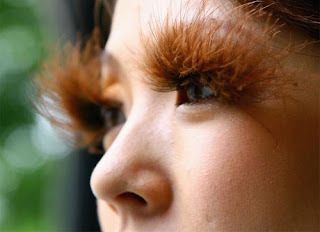 Going big with your lashes is an easy way to create drama if you don't want to deal with getting creative with your makeup or putting gems on your face. These are available for $25 here if you are not as ambitious as I am. Here are some links to get creative with your false eyelashes. I've shopped at the first two links and have been pleased.